Messaging History logs your conversations with other database users. Use the History button in the Navigation area to open the History window. Use the Find button to perform a find in History. 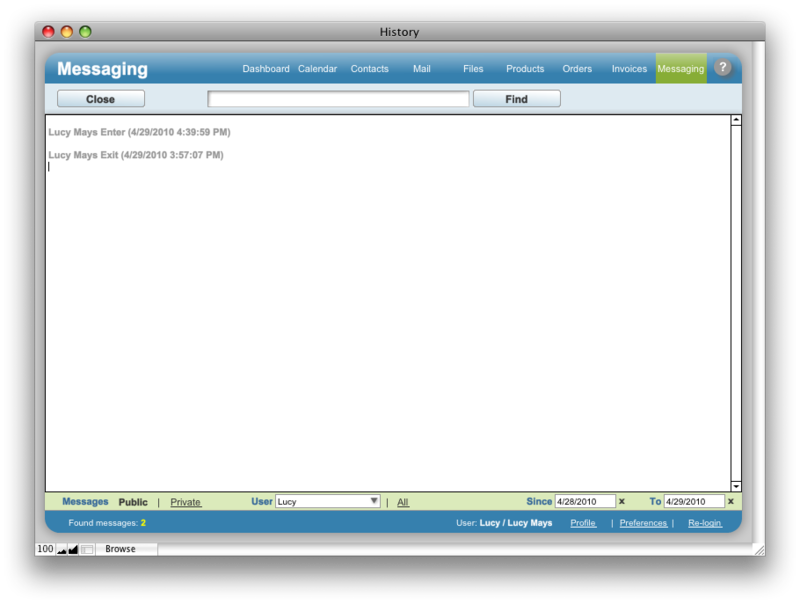 Messages in History can be organized by type (Public or Private), the Sent and Received date, and by the User (including quick accessible values: Me or All the users). Click Close to close Messaging History.